Are Water Chestnuts a Nut? 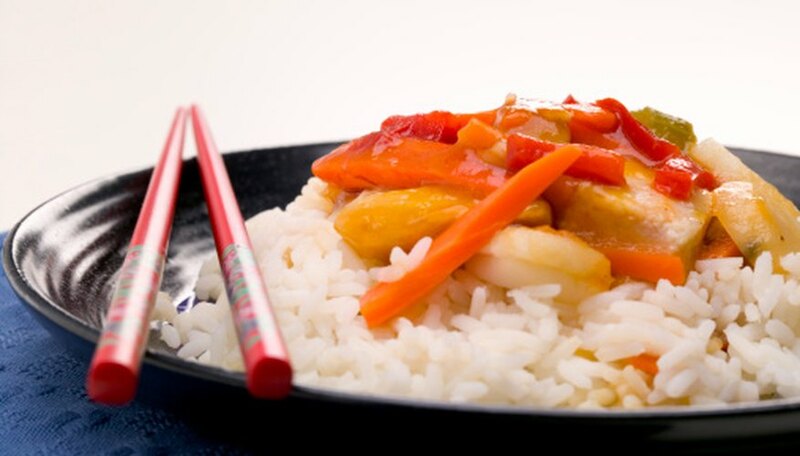 Anyone who has cooked Chinese food at home or eaten it in a restaurant is probably familiar with water chestnuts, which come from an aquatic plant native to Asia and surrounding areas. Whether curious about the origins of the ingredients you use in your cooking, concerned about water chestnuts growing in water near your home or simply curious, knowing more about this plant can help satisfy your appetite. Water chestnuts are not chestnuts. In fact, they are not even nuts. What are sold as water chestnuts are actually the fruit of an aquatic plant. Water chestnuts are so named because they resemble nuts in color and structure. The fruit develops underwater into a black, four-horned shape. Harvested water chestnuts have a slightly sweet flavor and very hard, crunchy texture. The water chestnut plant (Trapa natans) is an aquatic grass originally native to Asia and surrounding areas that now grows in the United States and other parts of the world. Water chestnut tends to flourish in slow-moving, nutrient-rich waters of ponds, lakes and streams. The water chestnut is known as a small plant, but it can actually have branches up to 16 feet or longer. Parts of the water chestnut can grow above water as well, though the structure of the leaves that do so differs sharply from submerged leaves. In some areas, the water chestnut is considered an invasive weed. It is an aggressive species and a prolific reproducer that can spread quickly over vast areas and cut off aquatic habitats to the detriment of other native plants. Overgrown water chestnut plants can cut off sunlight and oxygen, threatening fish and other wildlife as well as native aquatic plants. The invasive plant can also limit boating and fishing in water in which it has established itself. If you are concerned about overgrown water chestnut plants near your home, the University of Illinois Extension Service recommends mechanical and manual removal as the most effective methods for water chestnut control. Even these methods are difficult and labor-intensive; seeds distributed on land have peculiarly long dormancy periods, so hand removal of water chestnut plants needs to be repeated over successive growing seasons.